Featuring a beautiful buttoned back and sleek framework, the Cedro Counter Stool by Eichholtz will add a touch of glamour to your home bar or kitchen island. Finished in a choice of clarck sand or grey linen upholstery, the curved seat is filled with a plush foam for maximum comfort. A minimalistic design with a contemporary finish, the elegant, fine iron legs are coated in a polished black lacquer and completed with statement brass caps. Cedro will add cool sophistication to any home interior whether a chic city apartment or a country cottage. Looking for something taller? 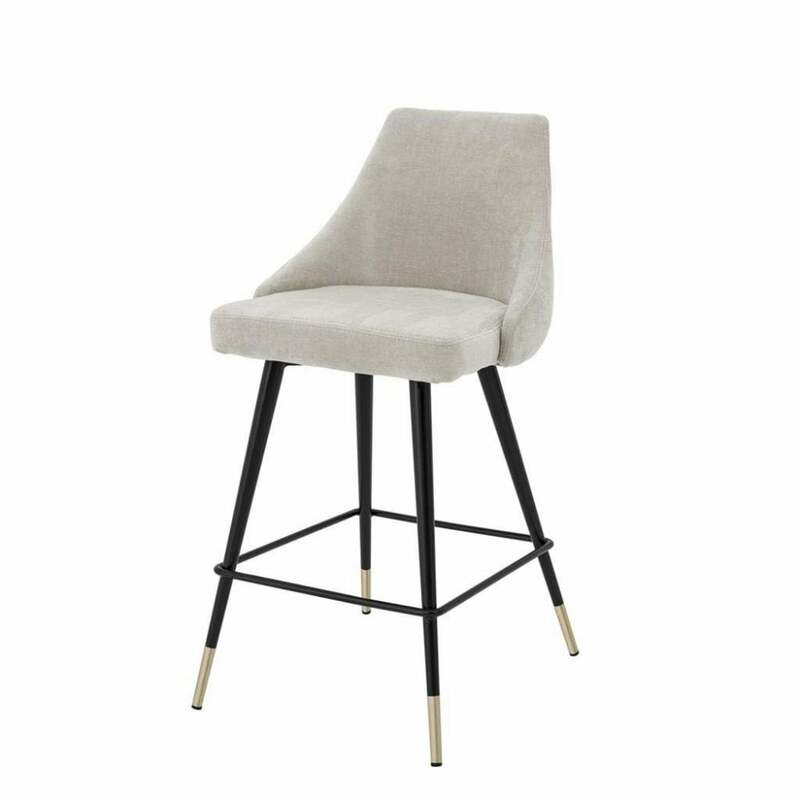 Take a look at the Cedro Bar Stool by Eichholtz - the same covetable design but with 10cm more height. Make an enquiry for more information.